2018 York Rally: new things coming! 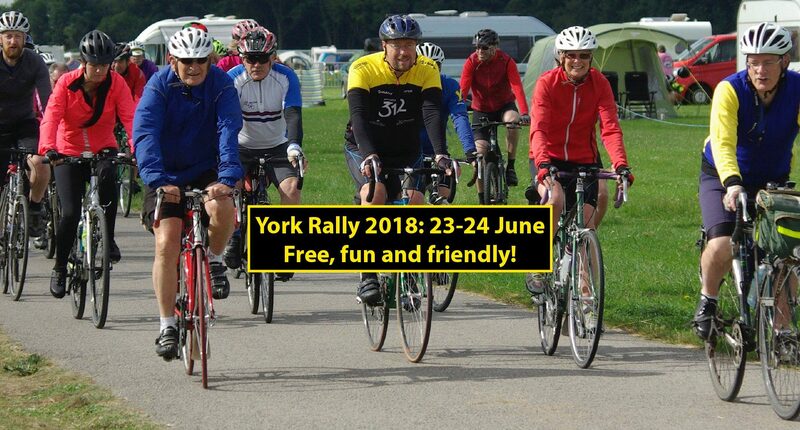 With just a month to go until the 2018 York Rally it’s getting exciting! Our all-volunteer team have been busy finalising arrangements – and coming up with a few new ideas too! Many popular favourites are back – including the Audax, and enjoyable rides run by valued partners such as RSF, Audax UK, York Greenway, Sustrans, and Bike Belles. Many thanks to all of the ride leaders and volunteers who help with these rides. But as you’ll note from the current listings, we’re still short of ride leaders this year for a number of the ‘alphabet’ rides, and the Saturday evening pub ride, as several stalwart volunteers are for various reasons unavailable. If you can help, please email our Rides Co-ordinator Gary ASAP on rides@yorkrally.org. As a backstop we’re planning to introduce a series of new self-led rides, so that Rally-goers can ride together from a set start point and time – but taking charge of route-finding for yourselves. We’re thinking this might cover one short, one medium and one longer ride each day, with route sheets/maps available at Rally HQ, and GPX files for you to download. Watch this space… we’ll update the listings as soon as we’ve finalised the details. Everyone on site with a bike is welcome to join our Grand Arena Parades – which will take place at 4PM on Saturday and 3PM on Sunday. We’ll gather on the grasstrack racing arena and take a circuit or two! 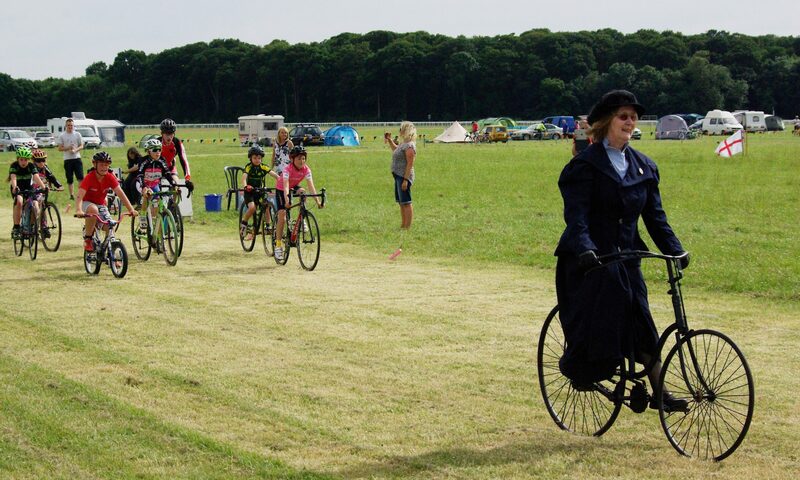 The exact arrangements will depend on turnout, but we’re thinking the delicate historic cycles might go first, and we could have a children’s circuit, and other groups like e.g. trikes, tandems, recumbents could all take their turn… be there and join in! Note that if you’re signed up as a volunteer you can order clothing at cost price – please just contact us for the password to access the volunteer ordering page. Also – huge thanks to the volunteer graphic designer who got in touch after our last mailing with some ideas for the 2018 York Rally badge. We’re now having one of the designs made up and will let everyone know ASAP, with pictures, when stocks arrive. They’ll be on sale at Rally HQ, of course, or at any time from the website for mail order. We’ve decided this year to move the main marquee a little way into the site, away from the enclosure fence. This will free up more space for disabled parking, and Saddlebag Sale traders will also have a designated space for unloading. Please watch out for signs as you approach the area. We’ve also had several discussions about where we should site disabled camping pitches – and would welcome your feedback. The area in the corner of the perimeter road near the toilet block, behind the catering and trade tents is one option, but the ground is rough, it’s rather close to the generators and there’s also a fair bit of trade traffic going past. Its’ also rather isolated from the main campsite. But would proximity to the toilets outweight these considerations? If disabled camping is of interest to you, please do drop in at HQ at some point and leave your feedback – or just send us an email at any time (info@yorkrally.org). Incidentally, York Racecourse have been re-building the toilet facilities in the Enclosure. We’ll still have access to water and use of the loos, but watch out for some site layout changes there, too. We’ll have a widescreen TV and amplification on hand for presentations this year – which should be a step up from the projector set-up of 2017! 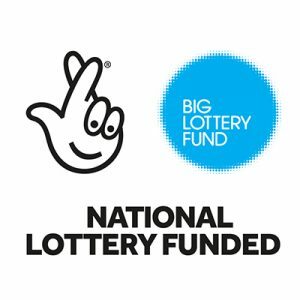 Anyone who signed up to our newsletter via our website since we set up our new mailing system in 2015 will not be affected, as we have always used a double opt-in process. However, in the next few days we will be emailing a number of you who were added to the list before that to invite you to re-subscribe to the newsletter, as it’s not clear that we could prove how you opted in. We’re working hard to ensure the Rally is fully GDPR compliant, and fully embrace its philosophy of the responsible, transparent use of data. Almost finally, there’s still time to book your campsite pitch! Book ahead for fast-track entry on site, and to be sited with friends or club-mates. It’s also a little cheaper than if you book in on the day, and advance bookings also help us with forward planning! As ever, all are very welcome at our final planning meeting before the 2018 Rally, which is on the 9th June 2018 at 10AM at the Church Hall of St Chad’s on the Knavesmire, Campleshon Road, York YO23 1EY, followed by a site meeting on the Knavesmire. Please just let us know if you would like a lift from the railway station. Next PostNext Join the cycling poetry workshop at the 2018 Rally!